We have used Painting Contractors Alabama; industrial painting contractors, to paint floors, locker rooms, and the exterior of our offices. They have also extended the life of many of our investments by applying industrial coatings to bag houses, piping, silos and smokestacks. We plan to continue using them for our maintenance painting needs. Mike and the rest of the crew at Painting Contractors Alabama have taken care of our painting needs for years. They have always been courteous, accommodating and professional. They have always met any deadlines and kept our production on schedule. I recommend anyone in need of a painting contractor give them a call and let them take care of your project. We have recommended Painting Contractors Alabama; to many of our customers over the years, and have never regretted it. 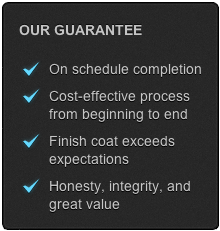 Their knowledge of our coatings and professional work ethic provide for a smooth and successful painting project. I recommend the professional no nonsense industrial painters of Painting Contractors Alabama for any of your commercial painting needs. Give them the parameters of your project and it will become their priority until completion.